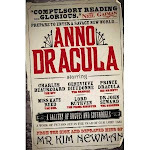 Here's another Halloween giveaway thanks to Hachette Books! Each winner will receive a box of the following 5 books. Three names will be chosen. Hmm a post about Halloween, lets see it's my favorite holiday. I love to see all the costumes kid's come up with. I absolutely love Halloween! I think that it's more fun than even Christmas. I would love to be entered! Halloween is when it is perfectly acceptable to wear your green nose, warts and black pointy hat. Seems to me it should be year round. I think this is a wonderful giveaway and perfect for this time of the year. Halloween has changed so much since I was a kid. I would go as far as my feet could carry me before I came home with a pillow case full of candy, now everyone goes to the mall. So boring, I think for small kids it's great but for older kids horrible. It is safer but sad that it has to be this way. I love Hachette book group and their awesome giveaways! I was very lucky to have wonderful Halloween fun with my family when I was growing up. We loved Halloween! We lived in a big house with a large foyer. My grandmother would have popcorn balls,cocoa, apples, candy, cookies and all kinds of homemade goodies on tables in the foyer. The trick-or-treaters could come in and rest and fill up on lots of good stuff. All the kids in my neighborhood called my grandmother "Granny". I'm a follower and a subscriber. Halloween is such a wonderful time of year! It is such a creative holiday. I love going out to pumpkin patches and riding the wagons out to grab our pumpkins. The one closest to us has a haunted barn, pumpkin pie contest, corn mazes, hay bale mazes and pumpkin catapults (which are pretty awesome!). Love it. I work with children in my role as a psychotherapist and I love hearing the anticipation that the children express for Halloween almost as much as Christmas and Hanukkah. They've been talking about it since school began. Makes me remember my love for the holiday when I was a girl. Halloween is one of the best holidays. You get to dress up and be someone else for a night. Halloween is my favorite time of year, my girlfriend and her husband bring their kids over and we take turns walking around the neiborhood with them and handing out candy! Halloween is a great holiday. Costume parties are fun. Halloween is going to be kind of sad for me this year because my older daughter is away at college - and she's the one who really got into it - and my younger daughter doesn't want to do it this year. I guess I'll have to stay home and watch Hocus Pocus. +1 oh I love halloween and haunted houses!! Thank you for the chance to win this great giveaway contest. I love the costumes & fun of Halloween. Halloween is my favirote time of the year. I love anything that has to do with scary stuff and vampires!! Love it. I so love to see the little kids in the neighborhood in their costumes. I absolutely love Halloween. Since growing out of the ages for trick or treating, I spend every Halloween giving out candy and watching the Ghost Hunters marathon episode all night long. Spooky! Halloween always marks the start of the holidays for me. Its the time of year I tend to start reflecting and reorganizing. I also tend to sneak in even more parnormal reads and horror flicks - gotta love the whole 31 days of Halloween on Scyfy and Chiller :)!! Halloween is one of my favorite holidays! I love dressing up in fun costumes. Great contest and just in time for Halloween! Just blogged about it on Win A Book. Halloween is awesome, I love taking the kids trick or treating and helping them eat the chocolate HAHA! And its always fun to see what everyone is dressed up as. Thanks for entering me into this giveaway. Great selection of books in this contest! While I love Halloween, I'm sort of sad to see yet another children's holiday taken over by adults. Seems to have exploded the past few years and people decorate for Halloween now almost as much as they do for Christmas. Crazy, but fun! +1 I've always loved Halloween, and I'll never for the time when I was 16. My bff and I changed costumes 3 times and got a bonanza of candy haha. Seems back then older kids would trick or treat more than they do these days. Some of my fondest childhood memories are of Halloween trick or treating and Halloween costumes. Halloween has a long and varied history that stretches across both pagan and Christian religions. One of my favorite parts is to sit around a bonfire and pass out candy. Halloween is my favorite holiday. Candy and horror movies. What's not to love? i love halloween! i love how excited my kids get when we go door to do and get to look at all of the fabulous decorations and once and a while get a little spooked! it's awesome! Well, let's see besides the candy and the kids all dressed up so cool, it's my New Year's because I am neo Pagan. It is my favorite time of year. Halloween is actually my least favorite holiday, but I loved making costumes for my kids by hand. I miss those days. As a child I loved the "Legend of Sleepy Hallow" story that was always told around Halloween; I think that was the beginning of my reading Paranormal and Fantasy Books. I love Halloween! When I was a kid, I lived in an area that was really too rural for trick-or-treating, so I only started to really have fun with Halloween when I got to college. My favorite thing is handing out candy to visitors - even though I'm in an apartment building and visits are limited. I think I might be vicariously living through them. As a kid I hated Halloween. I couldn't even decide what to be and it stressed me out! I love Halloween! I remember one time I wasn't going to dress up because I thought I was too old (13yo) but changed my mind at the last minute. So my mom cut holes in a green trash bag and tied it around my neck and stuffed it with newspaper. All the other kids thought I was stuffed with candy and chased me home trying to rip the bag off me! Love Halloween! My favorite part of Halloween is passing out candy to trick-or-treaters, as I love seeing the cute little kids in their costumes. this is actually kinda a hard one Patricia, because even though I like paranormal books, I don't love Halloween. Except the Halloween parade in Greenwich Village. Now THAT is tons of fun. Dressing up myself -- not so much. I posted the link on my Facebook! I'd love to win those books. Now about Halloween. Bats, vampires, witches, all wrapped up in black and orange, what's not to like? I am excited about Halloween. It is because my friends and I plan to dress up. Then go to class. I love Halloween. A friend of mine and I decided to just be dorks and have fun so we're holding a party the day before Halloween and we're going to dress up and make creepy snacks and have people over. I miss living in a neighborhood where I had trick or treaters. So this year I'm going to be at my daughters helping her hand out candy. Halloween comes from 'All Hallows Even', the eve (night) before All Hallows Day. Halloween is the night before All Saints Day. The Feast of the Dead. +1 I loved Halloween when I was a kid, now I love dressing up my babies. My little one thinks once she puts on her costume, she will fly in the clouds like Tinkerbell. So sweet. I love Halloween. We are going to carve our jack-o-lanterns this weekend and the kids have their costumes all ready to go. I love Halloween... I still get excited and hyper when thinking about the 31st approaching, even though I'm an adult and often just handing out candy. Please accept this as my entry. Thank you! I love Halloween and all the scary movies on TV at this time of year. However, since it's always difficult to predict how many trick-or-treaters we'll have, I dread all that leftover candy. My clothes are already tight enough without that added disaster! I remember going out as a kid with my brother dressed as bums and a lot of people mistook us for the Smith brothers, maker of cough drops. I'd like to drop my name in the virtual hat - thanks for the giveaway. I like Halloween because it makes the kiddies so happy. This is a great prize pack! I would love to be entered for it. Halloween is my favorite holiday. Its the one day a year that I am GUARANTEED(sp) to spend with my kids uninterupted. I always seem to have to work on other holidays. Enter me please. Halloween is also my favorite time of year. In some ways I celebrate all year round since I have a lot of decorations I leave up all year...like my 3 foot tarantula, my skeleton in a cage, numerous skulls, my 7 foot skeleton sitting on my couch...well you get the idea. I love Halloween costumes! They're so fun! I love Halloween as children's holiday. I love seeing rick or treaters all dressed up going from door to door in scary costumes. I love the spirit and the animation of the holiday. I would LOVE to see your house! If you send a photo I'll see if I have the technical wizardry to post it. I love halloween because I love making costumes for my kids and then helping them finish off their extra candy! Halloween is amazing! I love dressing up and going trick-or-treating and watching scary movies on Halloween. Everything about halloween scares me from the movies and books that come out to all the scary costumes. I get scared easy. It's GREAT! I want to be Kanye West for Halloween. I like halloween for the dressing up. It is fun! The last time I went out for Halloween, I wore a homemade Sherlock Holmes costume. It was the last time because I got egged while walking down the street. I love everything about Halloween! I love pretending to be someone or something that I'm not, the candy, and the great parties! Thanks for this awesome giveaway and please count me in. I have such fond childhood memories of Halloween. I loved going door to door trick or treating. I love Halloween, it gives you one day to dress as anyone/anything you want to. I love halloween because of the great movies and candy! I love Halloween because I love dressing up and I love candy! Thanks for the entry! A post about Halloween, lets see well my son was due on Halloween but he didn't appear until two weeks later. Thanks so much for the entry. This is an amazing contest! I think Halloween is a great holiday because it is my husband's favorite so I get to see his delight watching the young kids now as we are older...but he still does goofy things like a crazy hat. Thanks for entering me for a chance to win. Great contest. I love Halloween and always take advantage of the season and read scary books and watch horror flicks! This is a great giveaway - please count me in! My best Halloween costume was the year I dressed up as half man half woman. My child will be dressed as a Panda on Halloween! I dress my dogs up for Halloween. I get excited about Halloween now because I have a three year old grandson. He wants to be a water hose this year. I can't be with him because he lives so far away, but they will hopefully take lots of pictures. Would love to be entered into this giveaway. Halloween has been a favorite holiday of our family for years. We love dressing up in costumes! I really love all the scary movies that are on at that time of year. Oh, I love scary books and my TBR is depleting. I'd love to fill it up some with these books! Ok, I love Halloween, always have and always will! My birthday is close to Halloween so I always get some pretty creepy stuff! I love it! I love the Halloween costumes and decorations. I love Halloween. I love seeing the kids in their costumes and I decorate the house every year. I love Halloween - always did. It sure will be fun here this evening. It gets dark early so the little ones are out and about right around supper. Love it! While I love Halloween, I admit to having been a little concerned during the week to let out my black cat. Why can't everyone place nice? I love the fun of Halloween I used to have partys for my kids and their friends. Today, I dressed as Wendy from the fast food "Wendy's." I even held a sign that said "It's MUCH better than fast food, It's Wendy's!" It was great! I love Halloween...all the spooky costumes...the creativity that goes into displays. THe most fun holiday. I love Halloween because, I like seeing the kids in their costumes with such big smiles on their faces. They have so much fun and stay so excited. Please enter me. Thanks! I'm an October baby and for that reason Halloween has always felt like my special day-I think of it as magical more than scary. Halloween well I love it cause my church puts on a really cool festival. And you see a lot of wierd things. The thing I like the most about Halloween, living in a small town neighborhood, is it kind of forces people to walk around and meet each other and interact. And it's fun for the kids. I love to decorate for Halloween.It's mine and my sons fav holiday. I love Halloween, but it was a bummer this year because I had to work and the weather here was crappy. Hardly anyone went out. My neighbors decorate for Halloweeen like some people decorate for Christmas. This year, they had a fog machine and fireworks! I love Halloween. I always feel so comfortable and safe in my house. My 15 year old got scared and slept with me this year :). It's the beginning of the cozy winter holidays. I love Halloween because I like to see how creative people can be with their costumes. Halloween was soo fun this year!! I totally went as a vampire, and i even had some red contact lenses to go with it..i looked creepy!!!! :) . . . Your Favorite Vampire(s) - Great comments!